(Wo)man the barricades, but not the corner office? Dr. Nutt shares the following post with Trust Law – a global hub for free legal assistance and news and information on good governance and women’s rights – in celebration of International Women’s Day. The chronic under-representation of women in politics and in executive positions is mistakenly attributed not to the systems that fail to support their personal and professional realities, but to women’s eternal quest for “greater work life balance” (a harmonious place located between Lilliput and Atlantis). That women are still required to succeed on men’s terms, most pronounced within the corporate and political sectors, is rarely seen as the problem ab initio. For many, feminism is regrettably now lived in the passive and not in the active sense. To read the full article, please visit http://bit.ly/ysG63I. Brian Stewart, one of Canada’s most experienced and respected journalists, has written a wonderful review of Damned Nations on the CBC News site. Many thanks to Brian for his kind words. Nothing would seem to lull a writer into a creative slumber more effectively than the process of flogging a book. But a recent article by famed economist and aid polemicist Bill Easterly (White Man’s Burden – a compelling and worthwhile read) invited a response. Easterly’s essay on America’s foreign aid is right on the donated money. Americans are more generous in absolute dollar terms when it comes to foreign aid spending than any other nation in the world. But that’s because individual Americans give, not because of government policy. In fact, as a percentage of its national wealth (GDP), the United States government spends far less on Official Development Assistance (ODA) than other industrialized countries, coming in at .21 percent. And in 2010, Congress made deep cuts to American ODA, taking $8.4 billion from aid contributions even as defense spending continued its upward creep. Obama has vowed to reduce defense spending over the next decade, but this will prove politically challenging as long as American unemployment remains high (more than one million Americans are on the public payroll as active duty soldiers) and Iran continues its nuclear folly. Despite America’s economic woes, it’s hard to see the logic in Obama’s decision to reduce its aid budget. Aid cuts are easy politics but bad foreign policy. They ultimately deepen global inequalities and are inherently destabilizing, especially to the communities and courageous civil society organizations operating in impoverished corners of the world which rely on them. Even Bush – and it is painful to eat these words as I write them – was more of an aid enthusiast than Obama has proven to be. And this is to say nothing of Canada, which has not suffered the same degree of economic turmoil as its Southern neighbour and yet still opted to freeze aid levels for the next five years while, with decisive irony, brokering a deal valued at between two and six times (no one knows for sure) the country’s annual aid budget on American F-35 fighter jets. Oh Canada, indeed. And such reductions in aid are rarely temporary. Canada has still not returned to its mid-1990s aid levels, as a percentage of GDP, since the last round of recessionary cuts blamed on the Dot Com implosion. But the biggest threat to ODA – as Easterly and many others in the aid community have pointed out – is its retooling over the past decade to service military policy. I write about this in more detail in Damned Nations, but since 2001 aid spending has been essentially hijacked by defense departments in both Canada and the United States. “Hearts and Minds” initiatives have transformed aid into a blunt weapons system, one in which funding for essential services such as schools, hospitals and other aid projects is dangled in front of vulnerable communities as kickbacks for compliance and cooperation. Over the past decade the Pentagon, for example, has controlled between 15 and 23 percent of the United States Agency for International Development‘s (USAID) budget. This aid money – in some cases farmed out to private contractors and corporations, as well as local warlords – has been misappropriated at an astonishing rate, amounting to tens of billions of wasted dollars in Iraq and Afghanistan alone. It has also focused on volatile but militarily important areas where the prospects of success were abysmal. And even aid spending that has not been outwardly co-opted by defense departments has been reoriented to suit military priorities. For years, Kandahar was the order of the day for any organization seeking Canadian International Development Agency (CIDA) funding for Afghanistan, despite the greater potential that existed in other provinces. Easterly’s argument, however, that failed or fragile states should be written off when it comes to aid spending contradicts his assertion that aid ought to “return to its origins of poverty relief”. I couldn’t agree more that aid should focus, as a priority, on poverty relief and not be tied to military or trade agendas. But it’s impossible to ignore war-ravaged countries in that equation, because war and low levels of human development are inextricably linked. Over the past 23 years, half (54 percent) of the countries rated “low” on the Human Development Index experienced armed conflict within their borders. The greatest ODA needs can, irrefutably, be found in the world’s hell holes. And while there are enormous obstacles to delivering aid in such corrupt and insecure environments that does not mean it can’t work. What matters, in such cases, is how it works: through consistent partnership and investment in local civil society organizations, and in programs that build their capacity and promote social stability. Empty platitudes? Not at all. I’ve seen highly successful aid programs operating in places like the eastern Democratic Republic of Congo, where locally-driven initiatives resulting from modest aid spending have returned tens of thousands of children and youth to community schools (and away from militias), and in Afghanistan, where quiet but industrious women’s organizations are slowly overcoming the barriers to oppression and inching forward. Aid is critical to the protection of human rights and greater gender equality around the world. It must be delinked from defense objectives in order to ensure that a neutral, humanitarian space is preserved. And I agree that bilateral aid to corrupt and abusive regimes is both wasteful and irresponsible. But let’s not forget that other options in such environments can and do exist. If aid is, as it was intended, aimed at reducing human misery, we cannot overlook the world’s war zones. 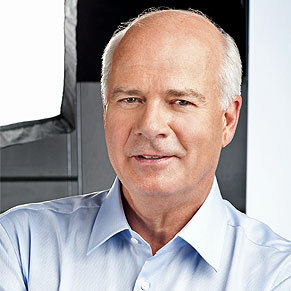 This past weekend, Samantha was interviewed by Peter Mansbridge for CBC’s Mansbridge One on One. The interview offered some fascinating insights into the arguments presented in Damned Nations. South Sudan: Steady As She Blows? After decades of war, the transition to peace in the world’s newest country was expected to be rocky. But in some areas, it’s been downright apocalyptic. In Malakal, a “recovering” city along the northern border where the main roads (a bog of mud and refuse) are literally sliding into the upper Nile, thousands have arrived in recent months fleeing militia attacks on their villages. While the city itself has been relatively quiet since succession, it wasn’t long ago – March, to be precise – that aid agencies were forced to bunker down behind their impressively reinforced walls, hoping an errant RPG (rocket propelled grenade) wouldn’t land in their front courtyard. At the UNICEF guest house, there’s even a bomb shelter thirty feet underground. No wonder many organizations with international staff prefer to keep a safe distance, ensconcing themselves in the capital, Juba. Since the North-South split, irreconcilable differences have continued to play out at a cost of hundreds of lives. It’s not surprising: there is a never ending supply of small arms and teenage boys, and few viable alternatives to violence to fill their days. While in Malakal last week on War Child work, I met dozens of women, children, grandparents and unaccompanied youth who had arrived from neighbouring villages with nothing more than the clothes they were wearing – and sometimes not even that. They’d left their homes and livestock behind, which were subsequently looted and burned. When fighting erupted a few weeks ago, Nakimo – a woman in her thirties living on the margins of a fetid soccer field – sought refuge with her six children in the tall reeds that line the Nile’s shores. She hid there for three days while her husband searched for a canoe that might take them to safety. Now they live, like thousands of Malakal’s residents, in a temporary shelter of grass mats strung up with twine and ready to collapse. 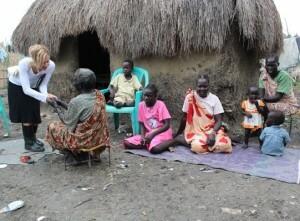 Life is difficult in most countries recovering from the effects of chronic war, but in the Blue Nile and Southern Kordofan areas of South Sudan it has become a recurring nightmare. Clashes between the North and South are escalating, and recent satellite images show more than 3,000 northern troops amassing at the border along with a plentiful supply of tanks, weapons and attack helicopters. With China’s ongoing willingness to ship arms and other military equipment to Omar al-Bashir in Khartoum (still thumbing his nose at the ICC’s indictment for war crimes), this is hardly surprising. But the regional significance of a renewed and intensified conflict should not be overlooked. Refugees are fleeing into Ethiopia while Darfur remains unsolved, which also has implications for neighbouring Chad. Conflict in Sudan has always spilled over into proxy wars that have included enemies’ enemies and other convenient friends. And the North has the resources, thanks to lucrative oil deals, to drag this out. Even without South Sudan’s oil deals, the Khartoum government is proving to be adept at squeezing their nemesis by blocking trade routes to Port Sudan and imposing high tariffs. The local cost of food and other essential supplies is outrageous, in part because of NGO-driven pricing (while there may not be more NGOs per capita in South Sudan than anywhere else in the world, it certainly feels this way) but mostly because there is little domestic production. Stealing cows and scorching farmer’s fields merely serves to up the ante. So where does this leave the “peace process”? At best it’s stalled, and at worst it’s about to implode. With global attention split between events in North Africa and the Middle East, and a dreadful famine surging in the Horn, the troubles in Sudan are unlikely to generate much, if any, public or diplomatic response. The southern Sudanese sense this as well. “Maybe it will be better”, sighs Nakimo, “When I come to die. Life has always been too difficult here.” Along the Blue Nile, the ink on succession is not yet dry, but disillusionment is already setting in.